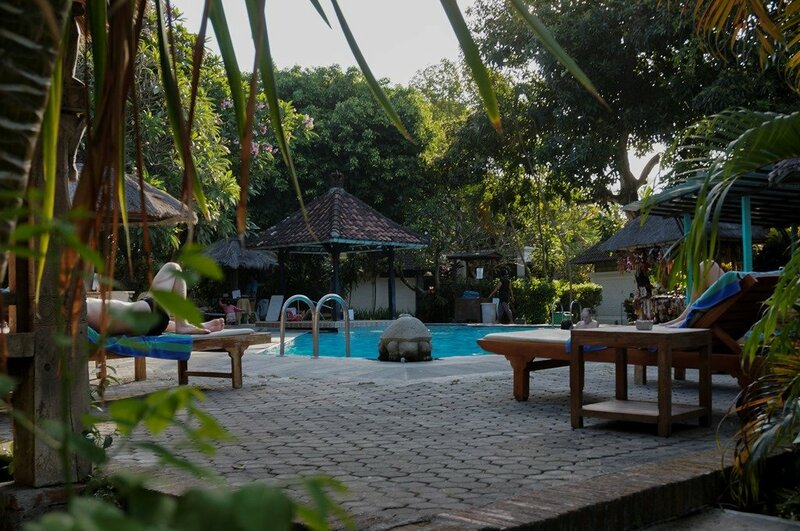 Quiet, small-scale hotel with simple rooms and beautiful gardens in the centre of Sanur, 10 minutes walk from the beach and the market. 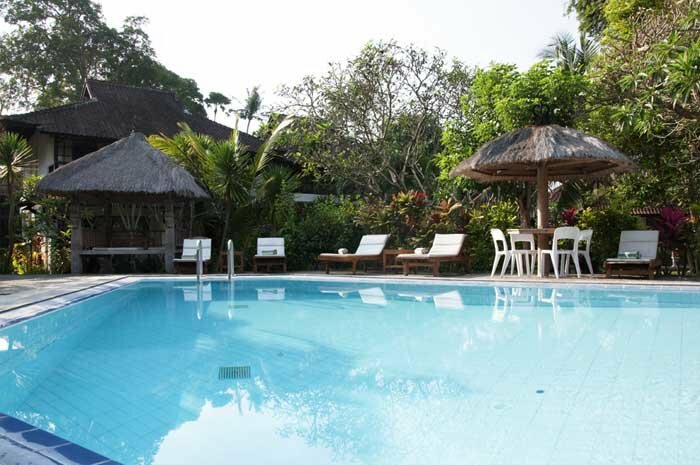 It has a nice swimming pool, a great restaurant and a friendly staff. Shops and restaurants in the neighbourhood. 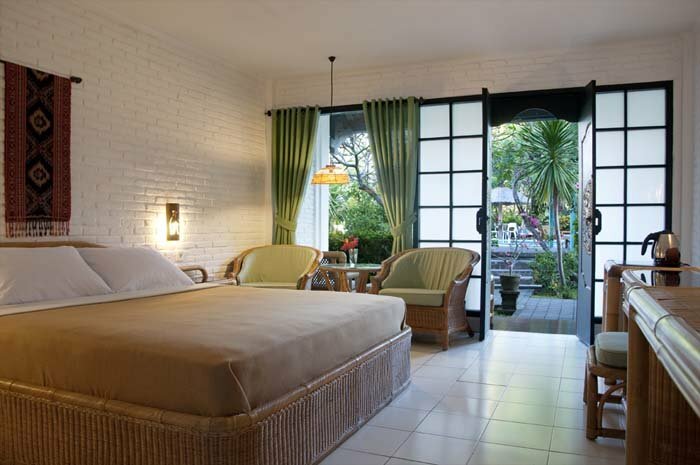 The Standard rooms are spread over two floors and have a terrace or balcony with seating. The Cottagekamers are spread over detached cottages. 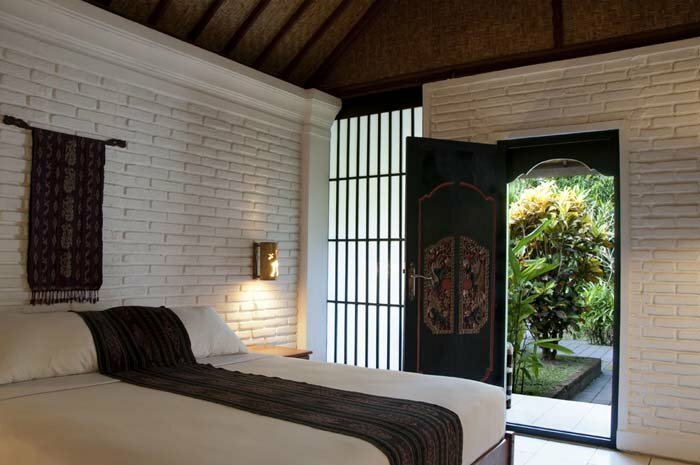 All rooms are equipped with AC, telephone, mini fridge, bathroom with shower and terrace or balcony. Restaurant / bar, swimming pool, spa, bike rental, doctor, room service, laundry service, lockers at reception and free wifi in common areas.